Do I need this? Packing light is key. Is it easy to store? Soft shelled bags are easier to cram into small spaces. Also think about vacuum packing. Is it low maintenance? Things that dry quickly, require no ironing, and aren’t ball shaped. Boats are wet and sometimes rocky! Let’s get to it, what do you really need for a Vancouver Bareboat Charter? Two sets of swimwear. This way you will have one to wear whilst the other is drying out. Fashion also isn’t a priority. If you are coming for an active holiday you need easy to put on and likely to stay on swimwear for all that jumping, snorkelling, and water sporting you will be doing. Something to slip on over your swimwear should you fancy an on-shore cocktail or snack. For ladies, a simple summer dress would suffice for men perhaps a wrinkle free shirt to wear with your long board shorts. Long board shorts are great for moving around the boat and for slipping on over your swimwear whilst navigating or lounging on deck. Two pairs should do it! Ladies may also want to pack one skirt – something that rolls up small for easy packing and storage. A handful of shirts, 4 or 5. This is for men and women. Shirts are versatile and let the breeze blow through to keep you cool. Stick to neutral colours and limited patterns so that they go with the shorts and other bottoms you have packed. A golden rule of travelling light is either pack patterned bottoms or tops, and the rest neutral. That way you can mix and match your outfits with ease. Underwear – half the number of pairs for the number of days you are travelling. Wash as you go. Make sure it is a quick-dry material too. Cheap flip-flops for showering and a nicer pair for trips out. 1 light jacket for those windier evenings on board. A wetsuit or dry suit depending on your planned activities, plus one normal set of swimwear for off board excursions to the spa or the like. 2 or 3 pairs of trousers. 2 or 3 different types of long sleeved top. Vests for extra layers – again 2 or 3. Underwear – same as above. A good sturdy pair of trainers, perhaps some walking boots, and a nice pair of shoes for on shore evenings. A weatherproof warm jacket, and a more stylish jacket for exploring. Winter scarves, gloves, and hats. Two per passenger, just in case one set gets lost! Sunscreen for summer. Make sure that it is waterproof and environmentally friendly too. Being burnt can really put a downer on your trip. Lip Balm, with SPF in for summer. Wind on board can lead to chapped lips whatever the weather, and so this really is an essential. Being out in the elements can be tough on the skin, make sure that you give it TLC with a good lotion. Avoid those which use microplastics. A combined shampoo or conditioner, or a dry shampoo if you can get away with it with your hair type. This can also be used to wash your underwear and anything else that needs a little freshen up. Wet wipes are a genius invention which can help with a number of things – freshening up when showering isn’t possible, removing make up, wiping up spillages, etc. Ensure to get the biodegradable type. Hair ties. The wind is not a friend to those with long hair, and these little bits of elastic can be a real life saver whilst yachting. Insect repellent. Even if you think you aren’t susceptible to bug bites, you can never be too careful. Microplastic free toothpaste and environmentally friendly toothbrush. Water bottle. Not only will this ensure that you can stay hydrated, but it will mean you reduce the amount of plastic you use by not needing to constantly buy individual plastic bottles. Which as we all know are harmful to the environment. A torch and a head torch. When bareboating it is imperative to be able to see what you are doing at all times. Also they are handy when coming back from shore after nightfall. A waterproof bag for carrying items of worth such as cameras, phones, etc. to and from the boat as you explore. 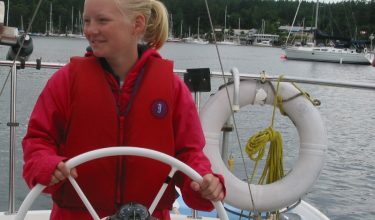 Sunglasses – even in winter, with a lanyard to stop them slipping off your head overboard. Underwater camera – for those who plan on diving or snorkelling. It isn’t ideal to wear things that can get caught up whilst sailing. Also you wouldn’t want to lose your favourite pieces overboard. Lots of electronic devises. See this bareboat charter as a chance to get away from technology. It could get easily damaged at sea, and also charging options are limited. Although kindles are a good option if you plan on reading many books – a space saver. Make up – most women have rather large make up bags. This isn’t that type of holiday, strip it back and just take the essentials, you’ll still look beautiful. Make sure to pack the waterproof stuff. Electronic hair styling equipment such as straighteners, blow dryers or curlers. There won’t be enough energy on the boat and also you will want to spend time enjoying the surrounding not doing your hair! Plastic Zipper bags have many uses, so make sure you take a good roll of them. They can keep your money dry, or contain a wet swim suit, and protect other valuables. Take something to mark your towels when visiting beaches. All towels look similar so something simple like a ribbon or a pin can help avoid confusion. Also use the same tip for your dinghy. They can all look the same, so take something to identify yours. Do not use your bath towels after being in salt water. They won’t dry. Also don’t lay on your bed after being in the sea because this will leave you with a damp bed! Check a mini first aid kit is provided and perhaps take your own for excursions. So there you have it! Our top tips for packing for a Vancouver bareboat charter – get packing and we look forward to welcoming you soon.